Coming back to Ravnica always feels a little like coming home. The booster packs are filled with gold. The shock lands are back in Standard. And, of course, your guild is waiting for you. Guilds really are the beating heart and soul of what makes a Ravnica set work. There's practically nothing else in our game that players rally around quite as hard as guilds. I've seen pictures of people who have made guild jewelry, carved guild pumpkins, and even went as far as getting guild tattoos! I know, for me, I love repping my guild—not just in the game, but also outside of it. The guild symbols also have this kind of "secret handshake" quality to them. (And not just because my guild is Dimir!) It's a symbol which looks cool on its own, even to someone who doesn't play Magic, and then if a Magic player sees it, it tells them you play the game. This factionalization is so powerful. And, unlike our other worlds, we've been to Ravnica a ton—there are plenty of cards to pull from. So, what if we put both those things to good use? I especially love those pins. They're really good quality enamel pins and hold up incredibly well. Put them on your bag, hat, or, if you're like me, accessorize with them at your next dinner party—here's a test spin I took of the Dimir pin recently. Nobody suspected a thing! So, how did we end up here? From a Product Architecture standpoint, what went into making all ten Guild Kits? Well, let's take a trip back. If you've been keeping your ear to the ground with Magic lingo over the past year and a half, you might have heard me mention "Annex" products before. These are new products we came up with which are outside the "normal" for that set (such as Archenemy: Nicol Bolas). By the time we were working on Guilds of Ravnica's Annex—these Guild Kits—Archenemy: Nicol Bolas—our first Annex—had come out, and we were able to start factoring the response from that into the situation. I've written before about how we're really trying to listen to feedback as we test and learn from things, and this is no exception. A huge part of Magic is deck building. And if you've been playing for years and years, then deck building is second nature. Our minds can weave in and out of the details of deck building and wrap around it all. I love building decks! But, with that said, Magic isn't just about the experienced players who have been building decks and honing those skills for ages. We've found there is a huge swath of players who are far less excited to build their own decks—from scratch, anyway. If you're a less experienced player, building a deck is daunting. You don't know mana curves, land ratios, or anything else. It's hard to even figure out what to play in general, let alone what your entire deck theme should be. Preconstructed decks shortcut this. And even for the more experienced player, just being given a deck that is a basis to start from goes a long way. One of the most successful elements of the yearly Commander preconstructed decks is that they provide a starting point. You can grab them and then tweak them over time to be your creation. It doesn't matter if it stays that way—eventually, like Theseus's ship, it's all something new—but it gave you that kernel to start with. And frankly, for me, even as an experienced player, there's something fun about being handed a deck and just playing Magic without fully knowing what's in it. I always love that! The big lesson here is that a lot of people think of Magic as a game full of building decks from scratch—but many others don't want to engage with Magic that way, and that's an audience absolutely worth building products for. We saw the preconstructed decks being a really successful piece of Archenemy: Nicol Bolas, and people were asking for more work and refinement to go into those. We had been wondering if there was room for format-agnostic preconstructed decks, and if the Guild Kits are a success—which all signs seem to be pointing toward—then I imagine you'll see much more of these in the future. What was another key element of the feedback around these preconstructed decks? Well . . . There has been a huge request from the community to reprint scarce cards. And in general, I agree; people should be able to play the decks they want, and getting more of popular cards out there helps make them more accessible. We've heard this and are trying to put reprints in the places where they make sense. Cards focused at casual formats, like Commander, are one of the trickier places to find those reprints sometimes. Putting cards like Privileged Position and Glimpse the Unthinkable in here is a huge win: they're fun, casual all-stars that can finally get in the hands of more people this way. Me and the team are on the lookout to put appropriate reprints wherever possible—and these decks are a great spot for them. Archenemy: Nicol Bolas and Explorers of Ixalan were both high-priced boxes, each with four decks in them. The idea was that a friend group might pool their money to buy it and play together, or that one person might buy it and share with a larger group. However, what we heard loud and clear in all our feedback from stores and players alike was that this price point was a little too high, and people would prefer to be able to buy the decks individually. So . . . let's just allow for that! These decks take the MSRP all the way down to $19.99 (in North America), letting you pick your favorites to mix and match as you choose. While this product is amazing and I share the vision of it, I really can't take the credit for the fantastic job here. Once we decided this is what we wanted to do, we spun up a three-person team to tackle it. Ken Nagle, longtime Magic designer and casual deck builder extraordinaire led the team. He was joined by fellow product architect Mark Heggen and new-to-design Kyle O'Neill. I was especially excited to see Kyle working on the team: Kyle doesn't work in R&D, but for these more casual-focused products, I love being able to pull in somebody from outside the department. And Kyle was an excellent fit. In addition to doing some light on-the-fringes design work like hole filling and coming in for playtests, he's a senior WPN retail relationship development specialist, which means he interfaces with stores and tries to manifest their feedback into reality. That was perfect for working on the next in this Annex line of products. 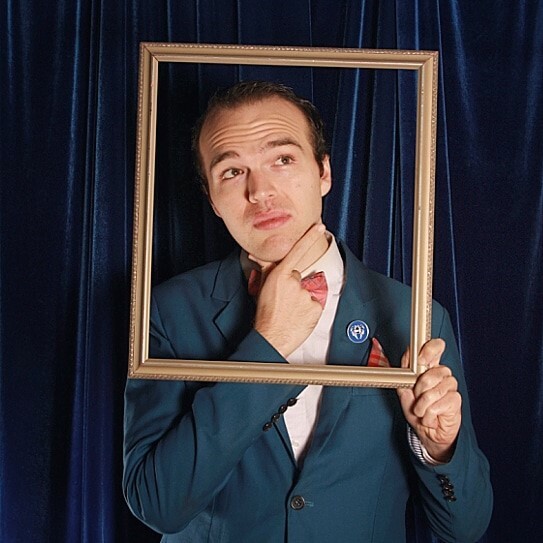 Perhaps most to the point, though, is he's a Cube aficionado and loves curating that experience, including building and maintaining a Ravnica cube! Kyle knew these sets inside and out, which gave him a huge leg up on creating these decks. It's also so fitting for him since he really started playing competitively around Ravnica: City of Guilds, joined Wizards at Return to Ravnica, and then got to work on this project. Who knows—at this rate, maybe he'll be on the full set team for whenever we do Ravnica next! The team met and divvied up the decks, much like how Commander development works where different designers focus on certain decks. Of these five, Ken took Selesnya and Izzet, Kyle took Dimir and Golgari, and Mark took Boros. And then they were off to the races. Ken had a clear vision: he wanted these to be a smorgasbord of everything each guild had to offer across every Ravnica set. For example, it was important to him that all the mechanics were there. And even as playtesters suggested they cut mechanics like transmute (tutoring in a fixed-deck product is tricky) or radiance (the not-flavorful-or-that-exciting Boros mechanic from original Ravnica), Ken made sure to keep at least one card from each of that guild's mechanics in its appropriate deck. They built up initial shells, then handed the decks off for the next step. Like any experience with out-of-the-box decks, the end goal is to create an awesome "biodome"—meaning that if you play one of these decks against any others in the series, it should be a fun matchup. All ten of the Guild Kits—those for both Guilds of Ravnica and Ravnica Allegiance—needed to play well against one another. And, of course, offer everything you would expect from the guilds! We work on products so far in advance that, often, notes get lost to the ebb of time; as one product ends, another begins, something new to focus on. But Kyle, ever enthusiastic, kept pretty good notes on his part of the process. I asked him to compile some information from those notes and send over any interesting behind-the-scenes snippets. And, well, rather than me tell you, I'll share with you what he sent to me! Take a look! My first pass at the Dimir deck was for a Blue-Black Rogue tempo deck. I had a strong feeling that Etrata, the Silencer was going to be the face card and wanted a deck that showed off the sneakiness of the guild. It leaned a little more on cipher than surveil, and wasn't very good. I quickly decided that most players should get what they expect from the color combination: a more powerful control deck. I added the more iconic counterspells and removal spells to the deck, and the host of legendary creatures to help move the game to a close. For those who appreciate the mill plan, try Mission Briefing your Glimpse the Unthinkable. Transmute was a difficult mechanic to include. As much as I love Clutch of the Undercity, it just wasn't fun when it bounced a player's bounce land. Also, the more we included, the more the games tended to play out the same. Netherborn Phalanx makes an appearance to keep the Selesnya and Boros decks in check, and also tutor for your other win conditions if they are more appropriate for the game. More than one game was decided by cloning Dinrova Horror with Stolen Identity, then making a constant stream of new Dinrova Horrors. My favorite guild way back in the day was Golgari, and my first-ever draft of Ravnica: City of Guilds featured Sisters of Stone Death. I knew that whatever deck I made had to include them, so they were the first card to be added. I was excited to combine dredge and scavenge with the new undergrowth mechanic to create a deck that had a really powerful late game. The deck initially had a much bigger dredge theme, but we quickly found out that it overpowered every other deck in the Guild Kits (it turns out more than even one Stinkweed Imp is quite oppressive). I toned back dredge a smidge, but it still has plenty of ways to fill your graveyard quickly. You can absolutely run the risk of milling yourself out if you're not careful, but this deck has all the tools to close a late game out with a powerful effect if it's not handled before it reaches that point. When designing these decks, I fought a lot to keep these decks as close to singleton as was reasonable. I wanted my decks to feel like light Commander decks, or pseudo Brawl decks. 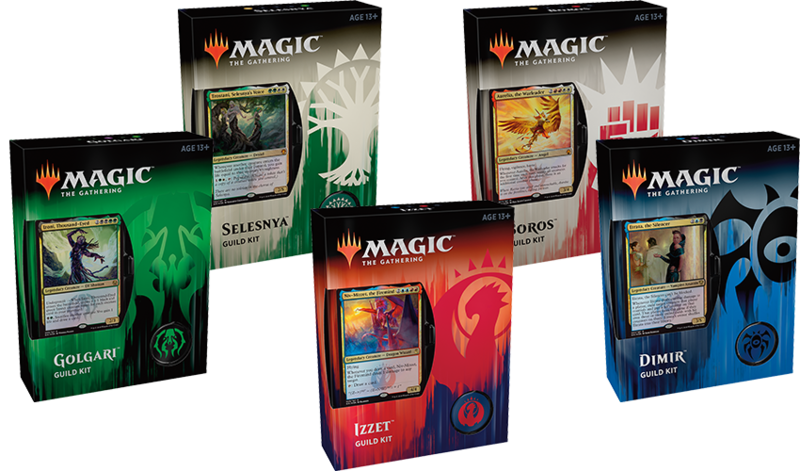 I knew that we wanted these decks to be a "greatest hits" collection of iconic Ravnica cards, and I could think of nothing more iconic than its legends. Since we had the new frame coming up, I pressed the team to include as many of the legends as we could (while keeping the decks fun and balanced). Tolsimir could finally get his Voja token! The legendary creatures make these decks feel like you're playing a very special kind of game of Commander, and I hoped it might inspire players to build guild-themed decks of their own. When we were designing the decks, we knew we wanted to include the Guildmages, and a lot of the decks featured all three from each guild. We learned that a variety of Guildmages on board causes a lot of on-board complexity issues; also, a lot of games were coming down to who resolved their set of Guildmages first. We didn't want every game to be Bear versus Bear, so late in the design process, we made the decision to include only one Guildmage for each deck, but that deck would get two copies of it since they helped that deck's core strategy. This change significantly helped games progress faster and made them easier to process for players newer to those cards. The Guild Kits feature four Guildgates and four bounce lands for their guild, as well as eight of each guild-specific basic land. After some initial testing, we decided we wanted each deck to have exactly the same mix of these lands to create a consistent play experience. Before we settled here, Boros easily overran all the slower decks, and it was sometimes difficult to get to the late game to resolve the big splashy spells. Decreasing the speed of land deployment by having more enter the battlefield tapped, and adding two Signets to each deck, meant that the games really got going around the four-mana mark. Boros was slowed down, but was also enabled to have the occasional punishing start. I'm so thrilled about how the Guild Kits turned out, and I can't wait for them to get into your hands! You're going to be able to go and check them out for yourself in practically no time at all: this Friday, November 2! Go pick up a copy (or, you know, five), and let us know what you think. Do you like the decks? What about the accessories? The spindown die? The pin? The deck box? Let us know! Feel free to send me what you think on Twitter, by asking me a question on my Tumblr, or via email at BeyondBasicsMagic@gmail.com. As showcased earlier, your feedback really does determine what we do with Annex in the future. Going forward, we've decided to do Annex products when they make sense instead of forcing them for every set. 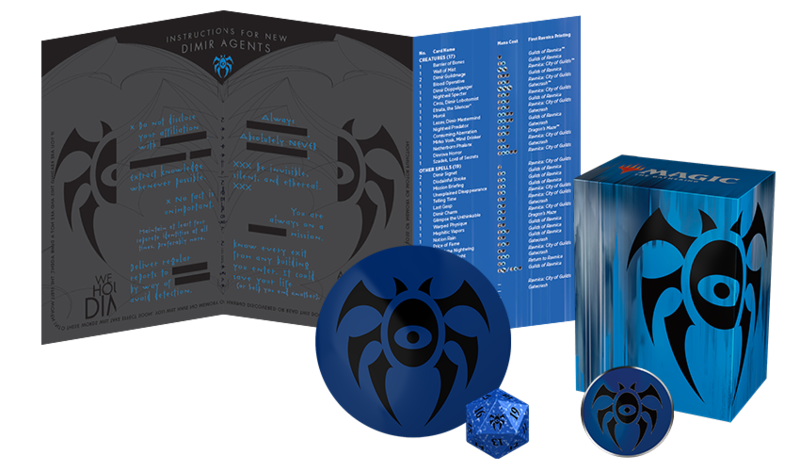 For Guilds of Ravnica and Ravnica Allegiance, we are putting two out in a short period of time. For "Milk," the spring set after Ravnica Allegiance, for example, we're not doing an Annex. So, let me know what formats, decks, or kinds of play you want in an Annex product, and I'll do my best to make it happen. Go out there, choose your guild, and wear it proud. Have fun!